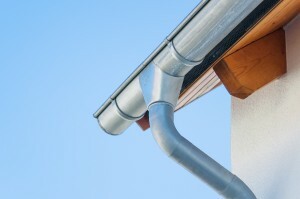 31-W Insulation offers gutter replacement service that is unmatched in the Bowling Green, Kentucky, area. Just consider our track record. Since 1972, we have helped countless homeowners across the region make their homes more comfortable and functional by providing professional home improvement solutions. In addition to our experience, we have a stellar record of customer satisfaction, reflected in our long-held A+ rating from the Better Business Bureau. When you hire 31-W Insulation for your gutter replacement in Bowling Green, KY, our factory-trained team of professionals will perform the installation. We do not rely on subcontractors. Because we want to ensure that every job we undertake meets the highest standards of workmanship and service, we never rely on subcontractors to get the job done. What’s more, our team will measure and cut your seamless gutter system onsite so that it fits your home perfectly. And, because our gutter systems are backed by a 20-year limited manufacturer’s warranty, you’ll have the peace of mind of knowing that your investment is protected. To learn more about the gutter replacement products and services we offer homeowners in Bowling Green, KY, contact 31-W Insulation today.